Astounding beauty from the inside and out was found at the celebration of Jasmine and Corey’s outdoor garden wedding celebration. The beautiful newlyweds and their equally stunning bridal party were offset by the blooming flowers and DIY decor touches found at their wedding. 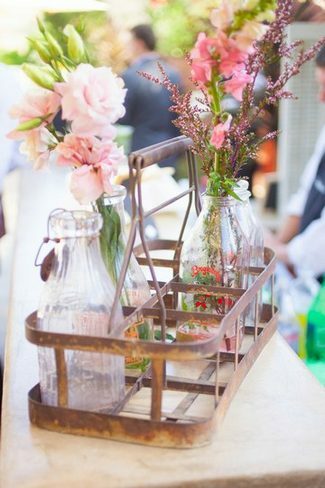 Their dream of a rustic garden wedding was realised through months of collecting the perfect wooden decor accents, distressed furniture and antique bottles. 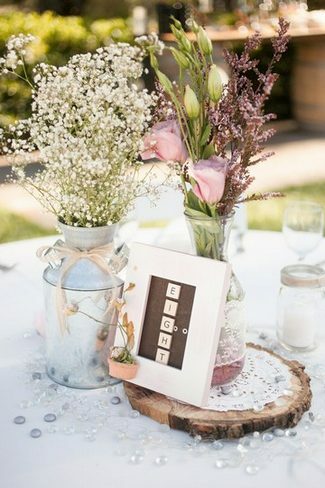 Baby’s Breath and scrabble letters also featured strongly in adding the right amount of distinguished charm to their classy wedding, captured by Skyla Walton. Take a look! What a spectacular sight to behold. 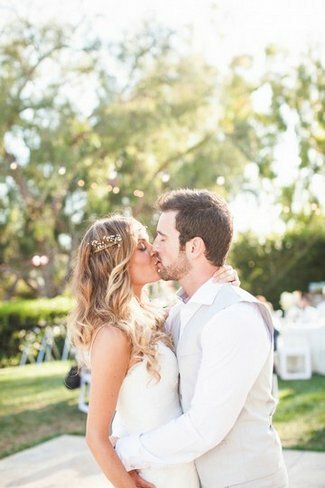 The romantic and rustic wedding style chosen by the couple was oh-so elegant and stylish! 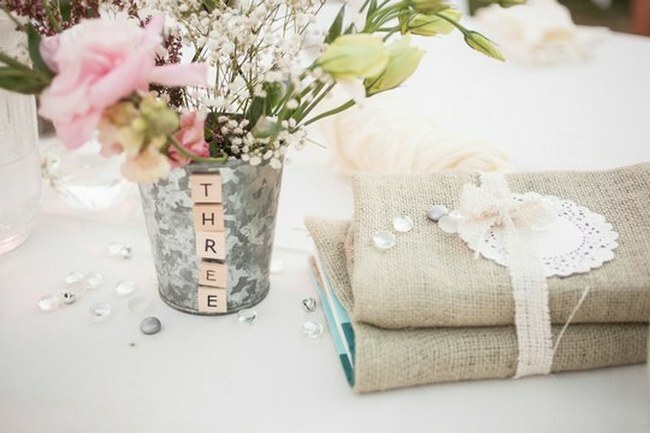 We just love all of the ways in which Baby’s Breath was included in the festivities. 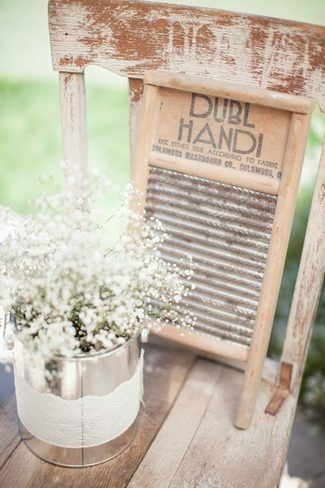 For more ideas of how to use this versatile flower, be sure to check out our collection of 17 DIY Baby’s Breath, Burlap & Lace Wedding Ideas. (Above) The bridesmaids were a beautiful bunch too! 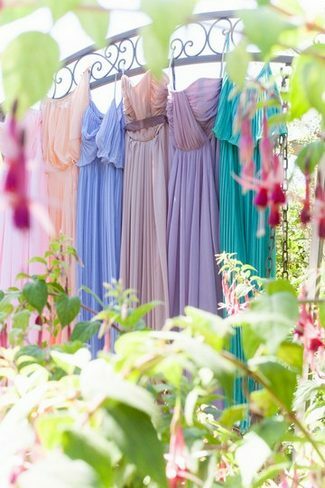 Dressed in soft hues of pinks, peaches, purples and jade, their flowing and delicately pleated dresses have become a hit with many brides-to-be the world over. In addition to donning unique dress styles, their make-up and hair styling were kept subtle and chosen to enhance each of their beauty with being over the top. 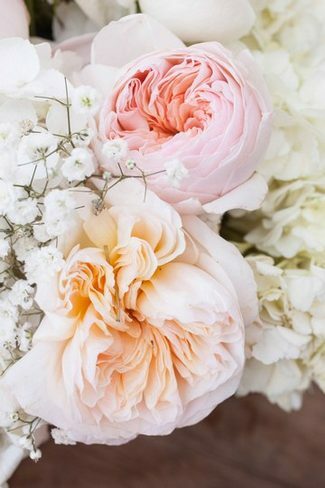 (Above) They each carried a bustling bouquet of Baby’s Breath. 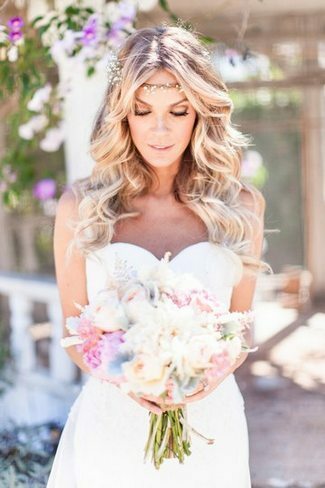 Each element that completed their wedding look whether it be their dress, hair, make up or bouquet, was pretty in a subtle fashion, so that neither overpowered the others. 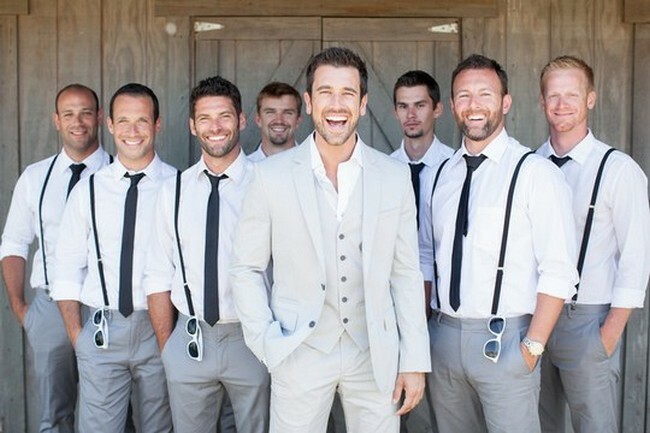 (Above) Looking dashing in their grey pants, white shirts with rolled up sleeves, black ties, braces and sneakers, the groomsmen were a great match for the groom who looked dapper in a muted grey three-piece suit. 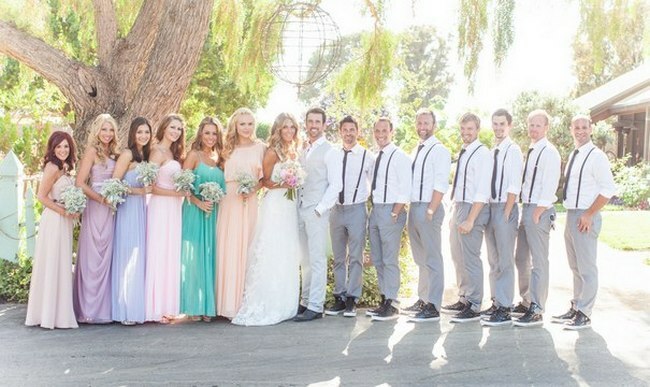 Their romantic wedding ceremony took place outdoors in front of an audience of their closest family and friends. The couple exchanged vows beneath a wooden altar that towered a few steps above the rest of their guests. 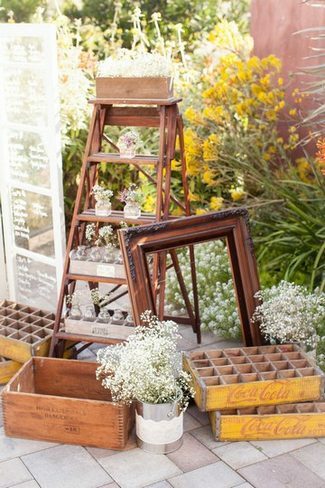 Their outdoor wedding reception was overflowing with vintage decor and rustic touches. 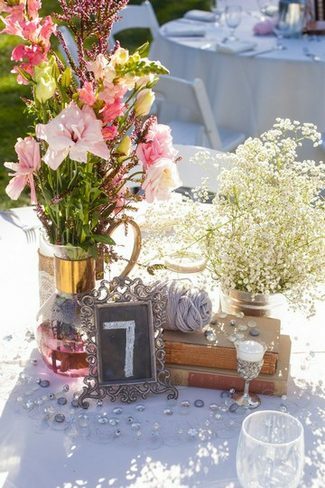 Each table was uniquely decorated with outstanding DIY table numbers and an assortment of decor used for the centrepieces. 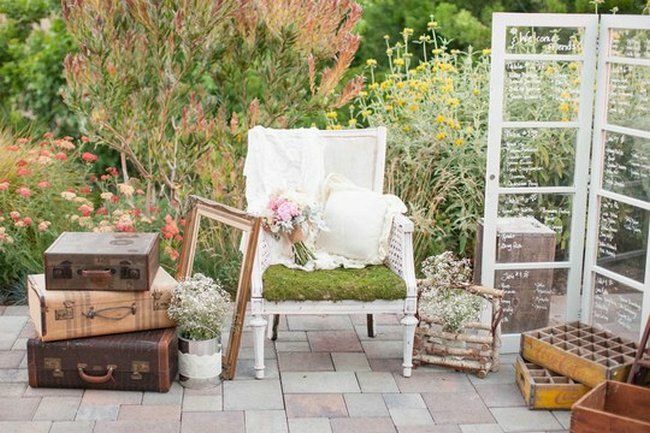 (Above) Vintage suitcases and a white-washed vintage wooden chair that sported a grass-inspired seat and cute cushions created an interesting feature as guests were arriving. 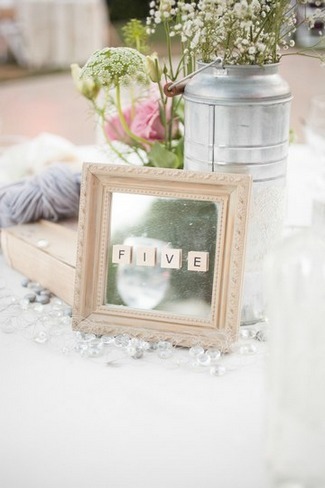 The seating plan was written on glass that filled the frames of an old wooden divider stand. 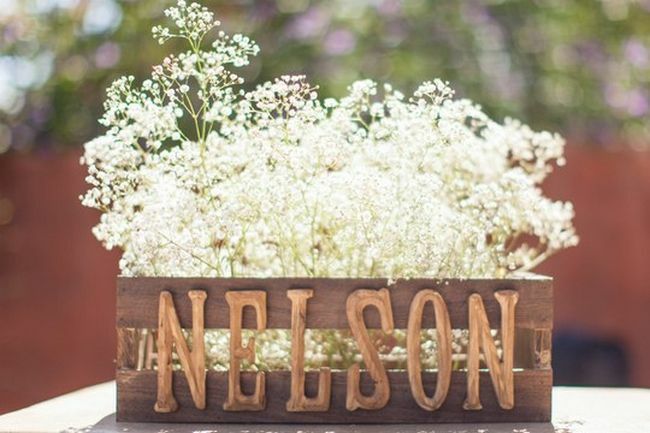 (Above) A rustic wooden crate with the newlywed’s surname, NELSON, held another bouquet of heavenly Baby’s Breath. (Above Left) Stacked upon the steps of a wooden ladder were mini glass bottles displayed in a wooden storage crate with special divisions for each bottle. 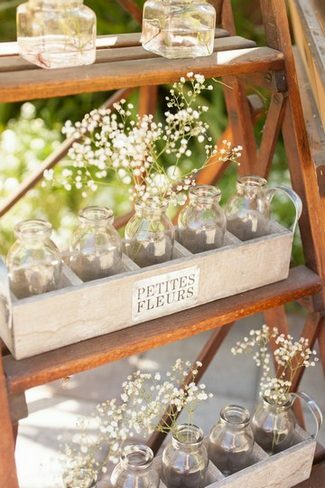 Sprigs of Baby’s Breath were popped haphazardly into a few of the bottles. | (Above Right) An old rustic metal bottle carrier was used to house bottles of colourful flowers. 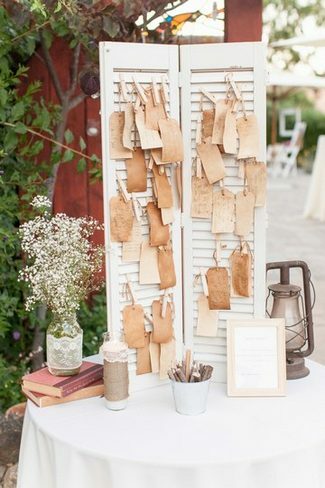 (Above) An antique suitcase was used to collect guest cards that preserved their well-wishes for the newly married couple. 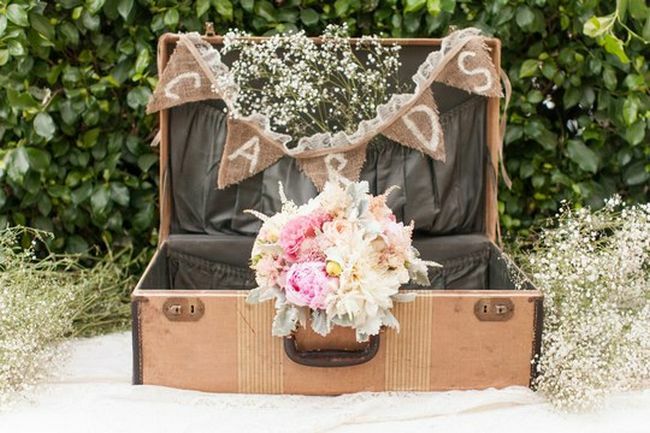 A mini burlap and lace bunting banner that spelt the word “cards” was strung along the front of the suitcase’s lid. (Above Left) The seating tags were pegged onto the slats of wooden shutter doors. 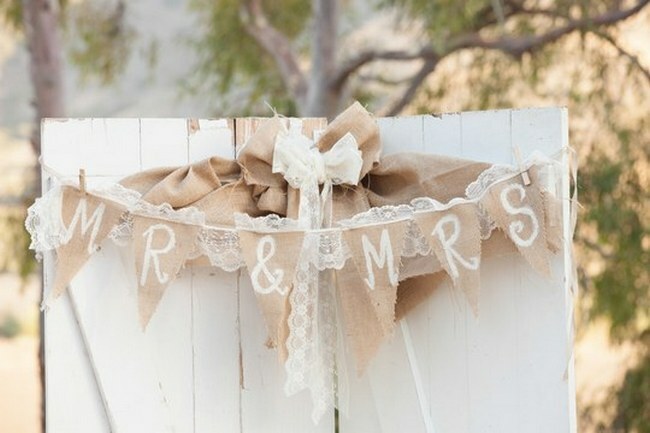 (Above) Lace adorned burlap bunting spelling “Mrs and Mrs” was used to decorate the wooden shutter door backdrop for the couple’s table. 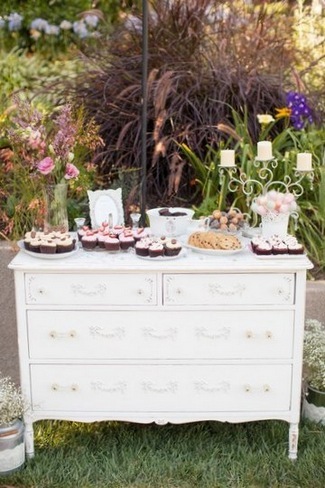 (Above Left) A cute vintage dresser was used as the dessert table. 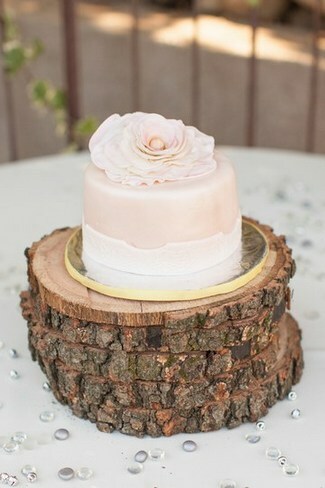 | (Above Right) A stack of tree trunk slices were used as the base upon which the cute mini wedding cake with a decorative fondant flower, was displayed. Table centrepieces were a compilation of inspirational vintage ideas. Yarns of wool, tree trunk slices, candles, vintage novels and sprinkles of glass stones were combined with framed blackboard or scrabble table number signs, unique to each table. 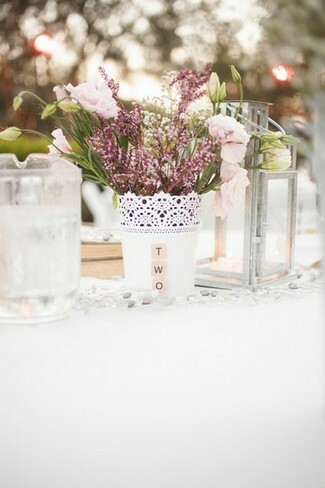 Interestingly, vases of Baby’s Breath were displayed alongside colourful flowers, which created a one-of-a-kind look. 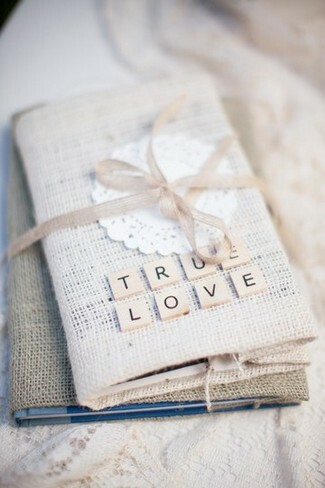 (Above Right) To add to the table decor, old novels were wrapped in burlap or hessian and dressed up with scrabble letters, which spelt sweet words such as “True Love”. 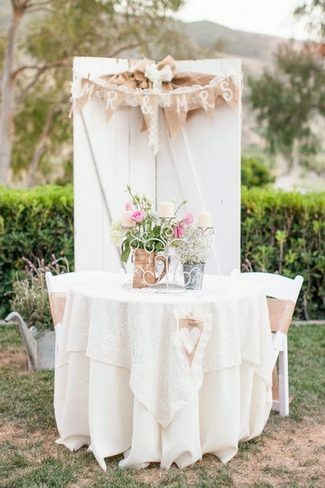 We adore this beautiful garden wedding celebration that was perfectly romantic and rustic-inspired. We wish Jasmine and Corey a wonderful marriage together. 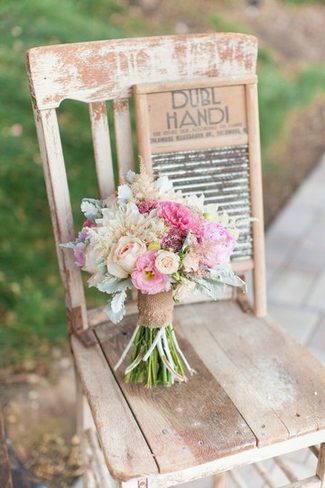 Grab more rustic wedding ideas by taking a look at this Cheerful DIY Outdoor Wisconsin Wedding.